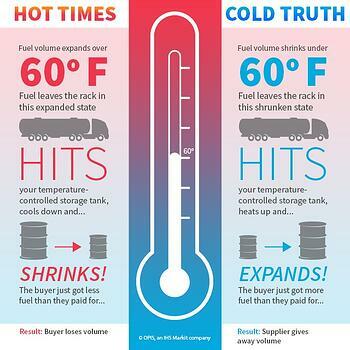 Keep this informative infographic from OPIS close by to help you understand the complicated fuel temperature correction process, particularly as we get into the chilly winter months. The OPIS Temperature Correction Assessment Report provides independently assessed values in 34 states so you can accurately adjust your wholesale supply formulas to account for temperature fluctuations. Try this report free for 10 days. Don't be left in the cold...keep this infographic handy.